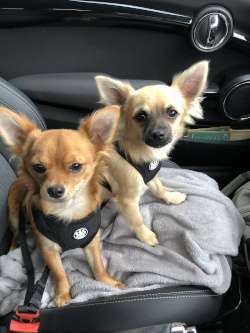 Nelson & Teddy are two adorable little brothers looking for a home together after a relationship split. They have been much loved family pets and are used to being the centre of attention. They are looking for a family with no other pets who can offer them the same love and company they are used to. They are happy to be left for a few hours and have lovely manners. Nelson is quite shy, however Teddy is much more outgoing and they both definitely love attention and cuddles. They have never really interacted with children, therefore they would prefer a quieter adult home where they can snooze on the laps of their new family. Still in their home, please speak to a member of the team to express an interest.